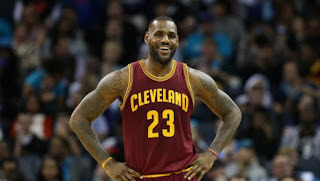 The +Cleveland Cavaliers team member +LeBron James has just sing a big +SportScheck with +Nike for a lifetime. Nike has signed Cleveland Cavaliers forward LeBron James to a lifetime deal in what one source familiar with the negotiations said is the largest single-athlete guarantee in company history. A company spokesperson would not say how much Nike paid. It is believed to be the first lifetime deal in the shoe and apparel company’s 44-year history. James commented on his affinity for the brand, how important his first Nike deal was and what the new agreement means to him. Carter will manage the deal, which was negotiated by Main Street Advisors’ Paul Wachter, who also negotiated the deal for John Henry to buy the Red Sox in 2002 and represented Beats By Dre in its $3 billion sale to Apple last May. Although other companies have negotiated lifetime deals — Adidas has structured them with Chicago Bulls point guard Derrick Rose and soccer great David Beckham, while Reebok has a lifetime deal with former Philadelphia 76ers point guard Allen Iverson — Nike has never announced a lifetime deal before.